Founded in 1985, the Vacation Rental Managers Association (VRMA) is an international, professional trade association of the vacation rental property management and hospitality industries. eReservation Payment Solutions is a proud member of the VRMA and utilize our membership to stay up to date with the current needs and concerns of the vacation rental industry. The American Vacation Rental Owners’ Association (AVROA) is a support organization for the vacation rental industry. Whether you are vacation rental owner, a property management company, an internet listing service or even a local vendor, their goal is to help your business grow. As an Industry Partner of the AVROA, eReservation Payment Solutions backs their mission 100%. For over 100 years the Better Business Bureau (BBB) has helped people find and recommend businesses, brands, and charities they can trust. eCom Merchant Solutions, Inc. (eCMS) has been a member of the BBB since April 2006 and we’re proud of our A+ rating, which includes “zero complaints”! In early 2013, MasterCard announced that they would be holding a contest for bank card Agents in the category of “rent payment processing for Vacation Rental Owners (VRO’s) & Management Companies”. Kristie Kliese, President/CEO of eCom Merchant Solutions, Inc. (eCMS) and her team couldn’t be more proud of winning first place: a trip to the 2014 Grammy Awards! It was an incredible privilege & honor to win the contest but didn’t come as a surprise because of the fact that eCMS specializes in providing rent payment processing solutions to VRO’s & Management companies. 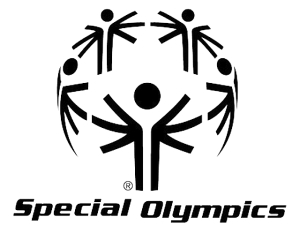 eCom Merchant Solutions, Inc. (eCMS) is a longtime supporter of athletes that participate in the Special Olympics. eCMS President/CEO, Kristie Kliese has not only helped support the Special Olympics with financial gifts but also as a volunteer, helping to successfully organize the first silent auction at the Rose Garden (now Moda Center) in Portland, Oregon — raising over $108,000 in one night! eCom Merchant Solutions, Inc. (eCMS) President, Kristie Kliese, loves children and with 4 children and 2 grandchildren of her own, she’s naturally drawn to them, especially those in need. 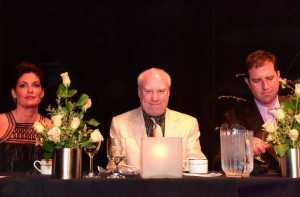 In 2009, Kristie came across the Children’s Relief Nursery just in time to participate in the 2009 Iron Chef signature benefit, donating $5,000.00 to the nursery for the privilege of being one of three judges at the event.